Small batch brews are all about local flavor—both in and on the bottle. Even more plentiful and diverse are the names of the craft breweries—2,768 of them(!) 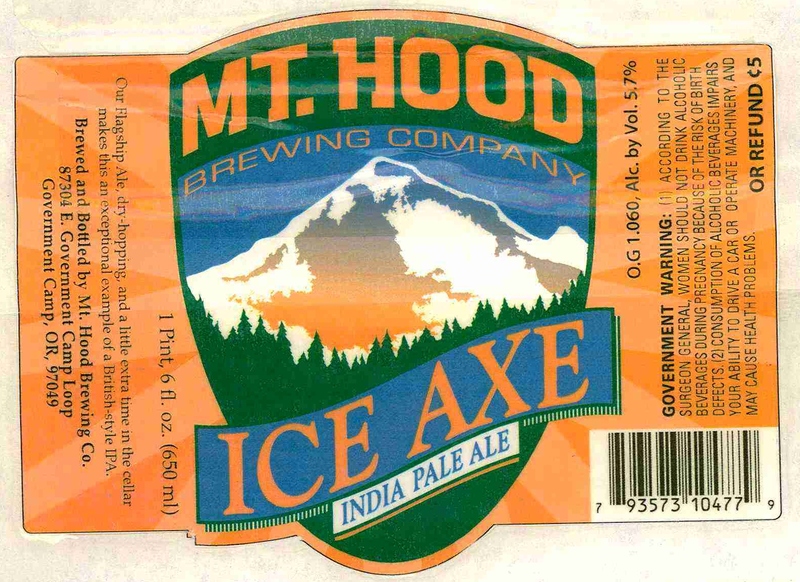 in 2013—and the monikers of their many, many individual beers. The piece by Fallows—and the photo of his latest stash—along with Dyer’s funny parsing of the El Segundo label reminded me of an academic study I came across last fall entitled “Microbreweries as Tools of Local Identity.” This persuasive analysis by Joseph F. Reese and Steven M. Schnell appeared in a 2003 issue of the Journal of Cultural Geography. Their insight: There's a lot more going on with the making and marketing of craft beers in America than just an effort to produce and sell a better beer. How do brewers accomplish this? In part, "through targeted marketing strategies that emphasize local identity and distinctiveness." The names of craft beers and the images on the labels "tend to reflect the places where they are brewed." We'll look at specific themes and images below, but here, Reese and Schnell identify some very general patterns. Tellingly, even in the most urban settings, modern city images are rarely emphasized. And modern lifestyles are almost always slighted in favor of historical, or at least blue-collar lifeways such as blacksmiths, or miners, or steamboat captains. Nowhere did we find a Stockbroker Stout or Systems Analyst Pilsner or C.P.A. I.P.A. Instead, Mine Shaft Stout (from Only the Best Brewing Company in Divide, Colorado) [now defunct] and Lumberjack Amber Ale (from Lighthouse Brewing Company in Manistee, Michigan) are much more typical. People who work with their hands, whose very livelihood is entwined with the geography of where they live, are those used to represent the "true" place. 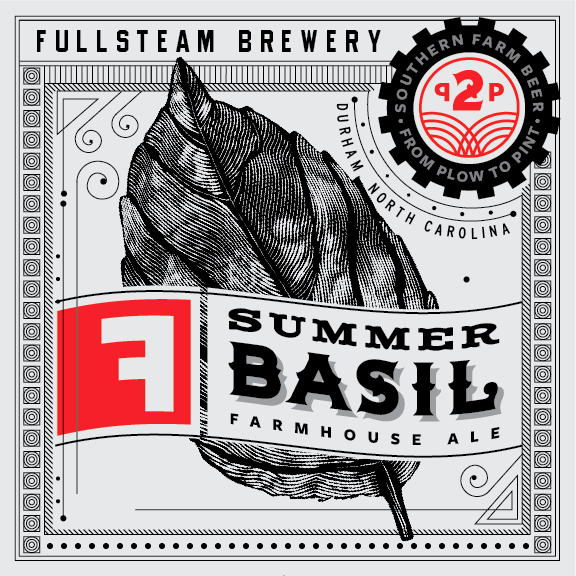 The names for craft breweries and for their beers, as well as the labels they design, have a wide array of typical inspirations that Reese and Schnell identify, most of them evocative of something distinctive about the locale. (There are plenty of exceptions to this rule, as I'll note again below.) Here are some of the specific themes and tropes that crop up regularly, along with just a few examples of each, some from Reese and Schnell, some from me. 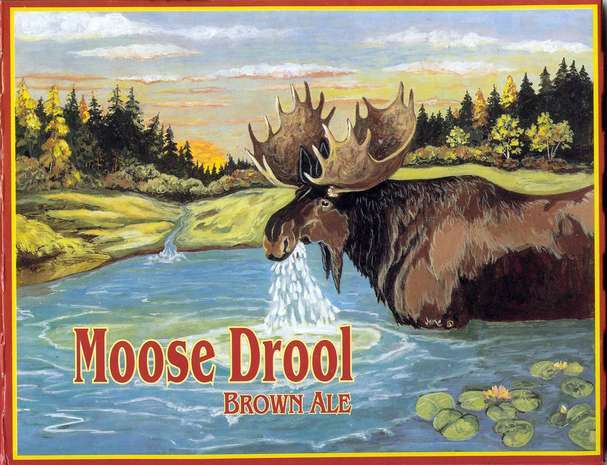 (The links attached to the names of individual beers take you to images of the beer label.) These categories are not mutually exclusive, and there's a fair amount of overlap. You no doubt can think of many more categories and examples, and I hope you'll share them in the comments section. Nature: Images of nature ("animals, landforms, mountains, valleys, or rivers") are common on labels for craft beers. They are predominant from the Rockies to the West Coast, with images evoking unspoiled landscapes and wilderness splendor. Boont Amber Ale (Anderson Valley Brewing Co., Boonville, CA) All the labels for this brewery's beers spoof the Western-nature motif by featuring a bear with elk antlers. Southampton Imperial Porter (Southampton Publick House, Southampton, NY). All of this brewery's beers feature a sketch of the old publick house itself, now a restaurant/bar/brewery. 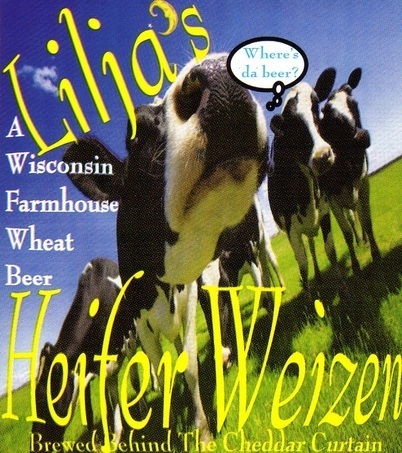 Lilja's Heifer Weizen (Sand Creek Brewing Company, Black River Falls, WI - "Brewed behind the Cheddar Curtain") Image is of cows. Flagship Cream Ale (Grey Sail Brewing of Rhode Island - Westerly) Sailing. 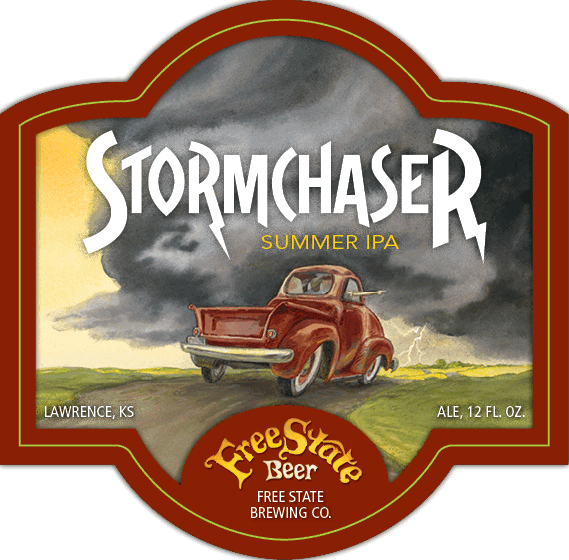 Stormchaser IPA (Free State Beer, Lawrence, KS) In "tornado alley." 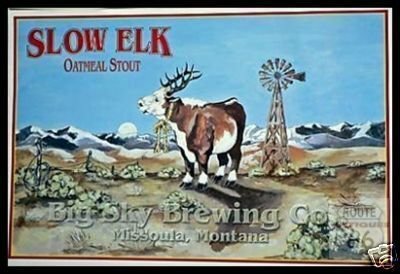 Slow Elk Oatmeal Stout (Big Sky Brewing Co., Missoula, Montana) So named "because in Montana, cows are often referred to as 'Slow Elk,' both because they often share the same pastures and because every year some myopic hunter shoots a cow during elk season." 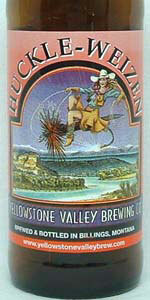 Huckle Weizen (Yellowstone Valley Brewing Company, Billings, MT) Made with huckleberries, which can be found in Montana, where it is one of the locals' favorite foods. Elliot Ness, a Vienna-style lager (Great Lakes Brewing Company, Cleveland, OH). This nugget comes from an appealing new book by Anna Blessing, Locally Brewed: Portraits of Craft Breweries from America's Heartland: "After Elliot Ness put Al Capone in jail in Chicago, he went to Cleveland and ran the police and fire departments. 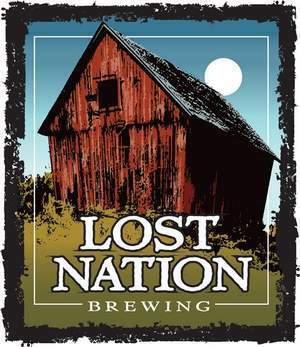 Ness used to frequent the original bar where the Great Lakes [brewery] bar is now, and Pat [co-owner of the brewery] attributes the few bullet holes they've found to his one-time presence there." DC Brau The Corruption Pale Ale (DC Brau Brewing Company, Washington, DC). "The Corruption" is printed across a stylized silhouette of the U.S. Capitol's dome. 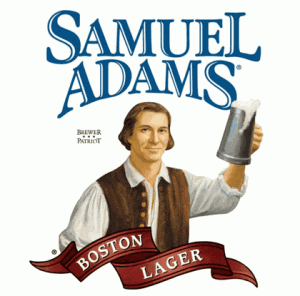 The brewer claims the name refers to the infamous "Corrupt Bargain" of 1824, but I'm guessing that's to avoid offending the thousands of potential consumers currently employed by the U.S. Congress. Burning River Pale Ale (Great Lakes Brewing Company, Cleveland, OH): This is "an insider's joke on one of the city's more appalling episodes," when in 1969 the heavily polluted Cuyahoga River in Cleveland caught on fire. Phoenix Rising (Free State Brewing Co., Lawrence, KS): -- a beer the brewery created in August, 2013, to commemorate the 150th anniversary of the 1863 raid on the town by William Clark Quantrill, an infamous, bloodthirsty Confederate guerrilla leader who sacked and destroyed the town of Lawrence. Some people may argue that Reese and Schnell are being too deterministic—that, as cultural geographers, they are overly eager to find craft breweries making "an overt statement of pride in the distinctiveness of place, an expression of neolocalism." Obviously, we can agree that not all of them are doing that. And, for the record, Reese and Schnell don't claim they are. We all know there are plenty of trippy names for breweries and beers that have nothing to do with "place"—and no shortage of labels with psychedelic or demonic motifs. For examples, think of these brewing companies and their labels for their various beers: Magic Hat (South Burlington, VT), Flying Dog (Frederick, MD), and Three Floyds (Munster, IN). Still, Reese and Schnell make a very compelling case that microbreweries represent "a desire on the part of an increasing number of Americans, brewers and consumers alike, to reconnect with the cities or the towns in which they live, to resurrect a feeling of community tied to a specific landscape." It may well be a "geographic manifestation of anti-globalization sentiment." If so, I say bravo. **UPDATE: An old friend, now living in Georgia, writes to tell me about SweetWater Brewing Company in Atlanta, which makes, among other brews, a 420 Extra Pale Ale. It's a clever double-entendre. I-420 is a never-completed interstate highway in Georgia; "420" is a code-term for the consumption of marijuana.